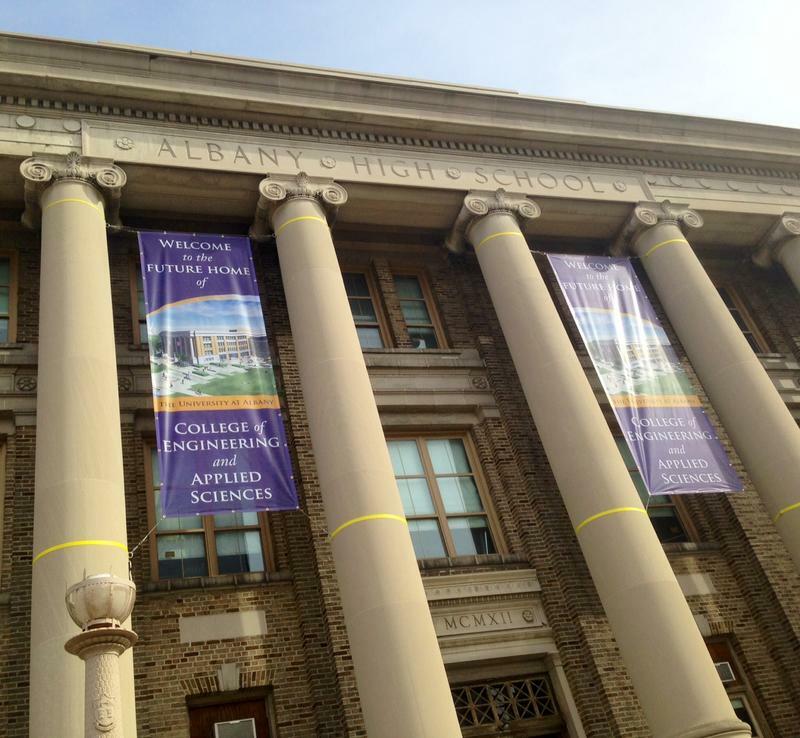 Capital Region community, business, education and government leaders today announced University at Albany’s plan to transform the century-old former Albany High School building into a home for its new College of Engineering and Applied Sciences. "There's nothing that we can talk about and nothing that you gonna here from me as president that is absolutely more critical to the future of the University at Albany than this college of engineering and applied science. 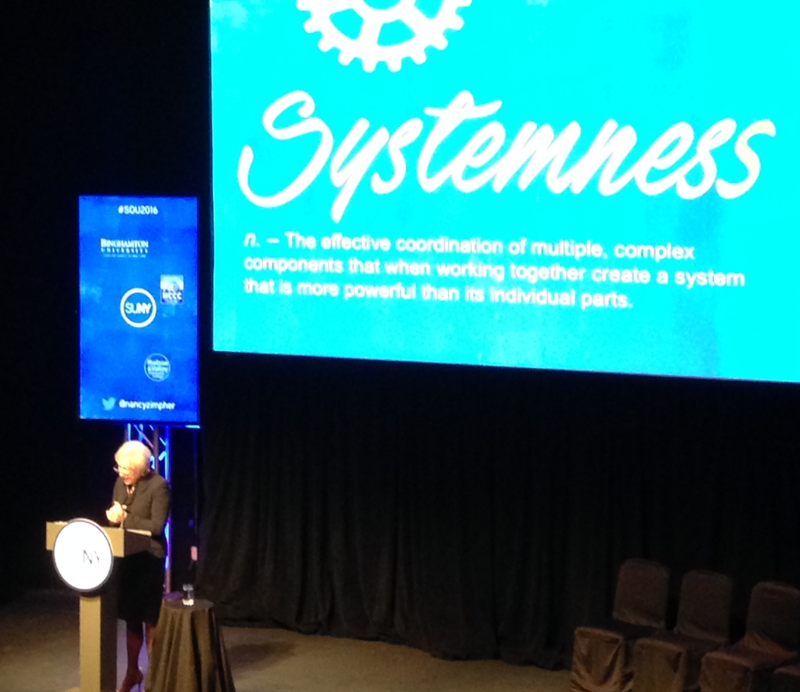 It is the gamechanger for this great university." 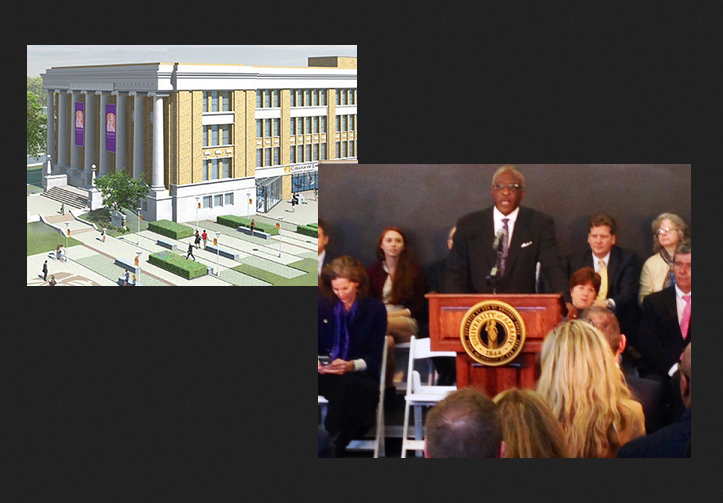 That's UAlbany President Robert Jones singing the praises of the "new building, new college." UAlbany officials say locating the new school midtown marks the next phase in what they call "a deepening partnership" between the Capital Region public research university, its home city and the larger region. The $60 million project that will create 127,000 square feet of classroom, research and office space with capacity for more than 1,000 students and 180 faculty and researchers is part of an engineering and computer science initiative to make UAlbany more competitive. "We need an initial investment in this year's budget of only $20 million. Only 20 million. I mean let's think about the return on that $20 million investment. I know you all can do the math, right?" To put that $20 million starter into perspective: the $60 million price tag to completely revitalize and repurpose the stately building which was, from 1913-74, the home of Albany High School as a cutting edge STEM school is about a third of what it will cost to modernize and renovate the crumbling "new" Albany High School a few blocks uptown. 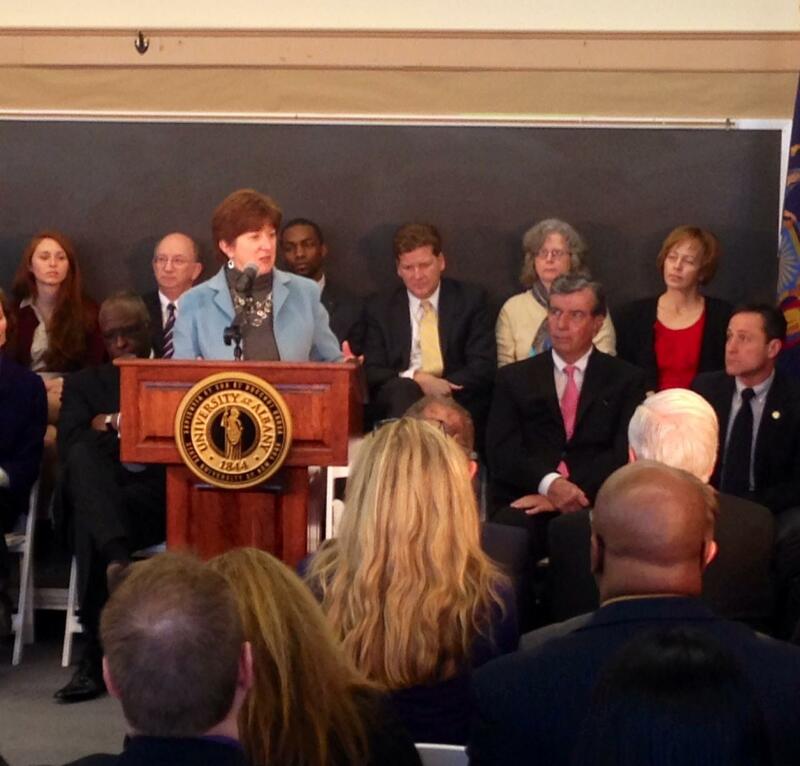 Securing that capital funding money is the top priority, according to Mayor Kathy Sheehan. "I could talk a little bit about what it takes to get some money from our friends in state government. But I stand here with colleagues that have demonstrated that they can deliver, that are incredible advocates, and who are really telling a story that's an easy sell, because it's about investing dollars now, where we know we can demonstrate the payback for those dollars in the future." The mayor there referring to project backers including state Senator Neil Breslin, Assembly members John McDonald, Pat Fahy and Pete Lopez, and Albany Medical Center President and CEO James Barba. 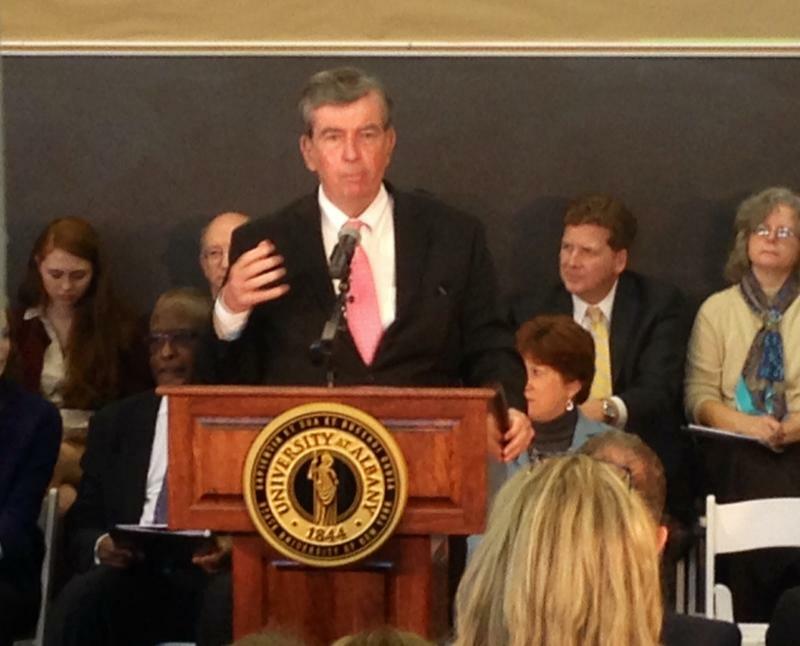 Breslin: "Speaking for the legislative delegation here, what a wonderful investment." McDonald: "This year's budget is exciting because the governor has laid out what I beleive to be an urban agenda." Fahy: "I made sure I wore my purple today, I'll wear it everyday if it helps us get this 20 million." Lopez: "20 million is doable." Barba: "20 million dollars is nothing, compared to that kind of a vision for what we can have here in this capital city." Jones envisions a dynamic new community resource, including a 1,000-seat auditorium, space for new collaborations with local schools and community organizations, along with other opportunities. He promises an open dialogue with the community to address quality-of-life issues such as parking, which would likely impact surrounding neighborhoods. If all goes according to plan, portions of the building could be opened to students in as little as four years from now. The Cuomo administration said simply it is "reviewing the proposal." 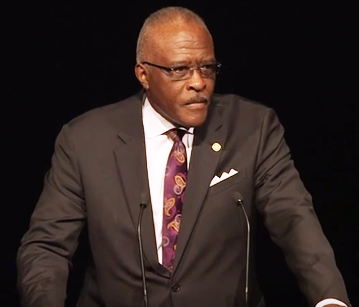 University at Albany President Robert Jones this week delivered his State of the University Address. President since 2013, Jones says the university must turn around enrollment, which has lagged in recent years, setting a goal of 20,000 students by 2020. Jones spoke with WAMC's Capital Region Bureau Chief Dave Lucas. 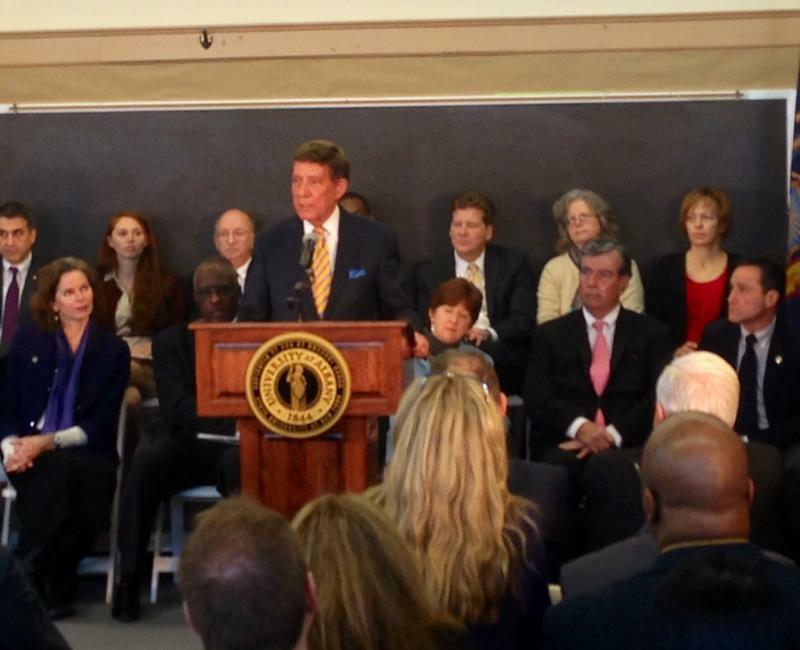 There were two major announcements Thursday at the University at Albany. 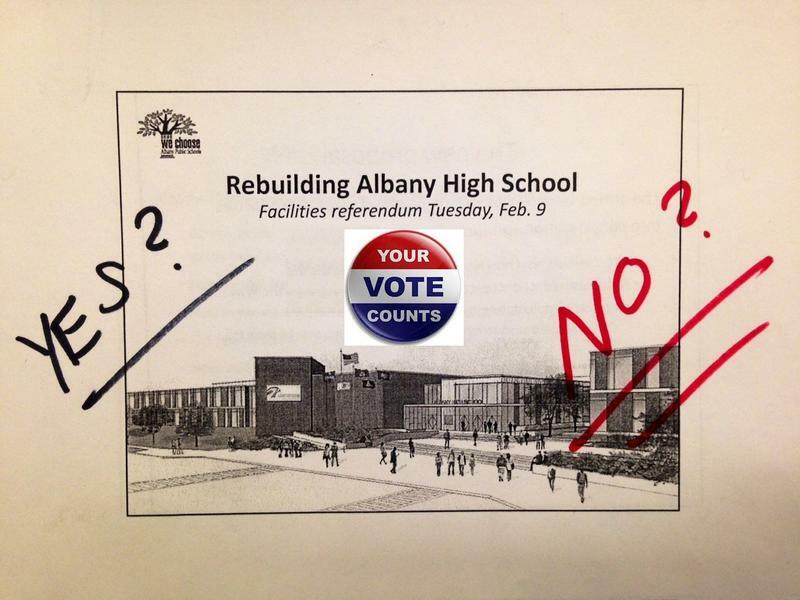 Mounting discontent over the way voting was handled may force officials to hold another re-vote for the plan to rebuild Albany High School.